Navy Pier Health & Fitness Expo runs Friday from 10 a.m. to 8 p.m. and Saturday from 9 .m. to 6 p.m. The most important thing Shamrock Shuffle runners need to remember is not to try and pick up their participant packet and bag on the day of the race. It won't be available. Runners must pick up their packets and bags at the Navy Pier Health & Fitness Expo on Friday from 10 a.m. to 8 p.m. or Saturday from 9 .m. to 6 p.m. The participant packet and bag includes a timing device, event bib number and technical t-shirt. The Bank of America Shamrock Shuffle is Sunday, March 30. 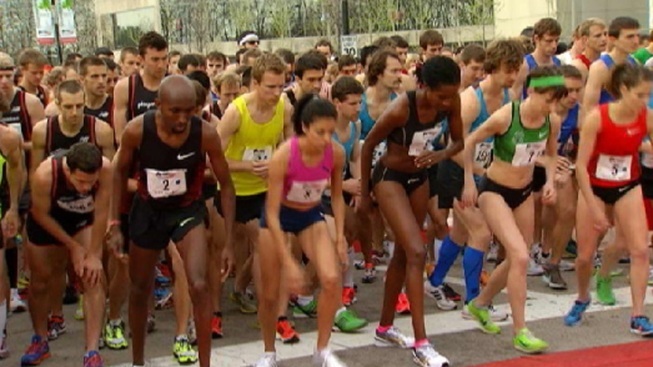 NBC5's Kye Martin takes you through the traffic hurdles drivers will see downtown as Chicago's kickoff to the running season commences.